Introducing the new Agilent 7200B GC/Q-TOF, the second generation instrument with improved capabilities to reinforce its position as the best choice for the most challenging problems. 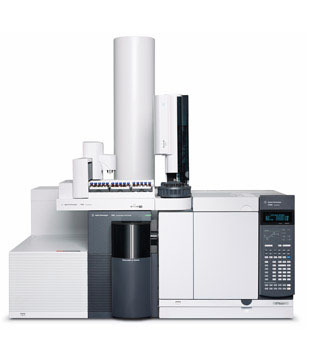 The 7200B delivers high sensitivity and selectivity with the added value of accurate mass and high resolution information for structural confirmation of target, non-target or unknown compounds. 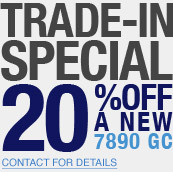 Agilent’s 7200 redraws the boundaries of GC/MS technology - solving the toughest analytical challenges with confidence. 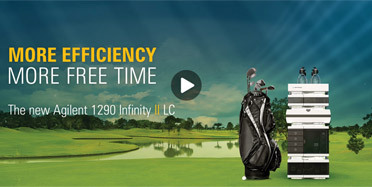 Introducing the NEW 1290 Infinity II LC System! The new flagship instrument in the powerful 1200 Infinity Series LC portfolio. The system enables operators, scientists and laboratory managers to reach new levels of laboratory efficiency with the instrument's exceptional analytical quality, ease of use and ability to seamlessly integrate into any laboratory. Mike McMullen is CEO-elect of Agilent Technologies, and will assume that position on March 18, 2015, when current CEO Bill Sullivan steps down to take an advisory role before retiring in October 2015. As a first step in the CEO transition, McMullen has been named president and chief operating officer. McMullen has held numerous leadership roles in businesses across the company. 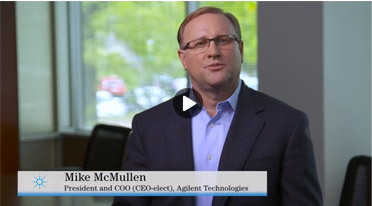 Watch Agilent's CEO-select, Mike McMullen, talk about Agilent's direction. In the December 2013 newsletter we referred to the funnel method for troubleshooting instrument issues. Part of that process is checking the logbook. But what should be included in a logbook and when should the information be recorded? Upon loading the method the following should be recorded: Method name, Initial Pressure, Flow rate, mobile phases (date made, clean, line filters present), Column ID (type and serial number), any temperature set points, and the number of injections from the previous day. After completing the first standard injection record the retention time of the last eluting peak in your analysis. Record these parameters daily and after any maintenance. Gas Chromatographs should have the following recorded daily: Method name, Initial Pressure or Flow rate, Column ID and configuration (type, serial number, dimensions), oven temperature, detector output, and the number of injections from the previous day. After completing the first standard injection record the retention time of the last eluting peak in your analysis. Record the pressure of your supply gases a minimum of once a week or after every cylinder change. Keeping a healthy logbook will eventually give a very good record of the instrument and column performance, which will help decrease downtime and keep you productive. With K'Prime for 8 years, Sime Buric is the new Business Manager responsible for the sales and service of core products. Sime works out of his Vancouver home office. Prior to this role, he served as the Technical Sales Representative for British Columbia. 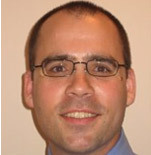 During and after getting his Bachelors degree in Chemistry from Simon Fraser University and Diploma in Chemical Sciences (Industrial Chemistry) from the British Columbia Institute of Technology, Sime worked at ALS Environmental in Vancouver in numerous roles over 7.5 years, before heading to K’Prime Technologies. When he's not working, Sime enjoys cycling and everything soccer (football) related. He coaches his three boys soccer teams, plays himself and is a big supporter of Manchester United. Feel free to send your greetings to Sime or connect with him on his LinkedIn account. A HUGE THANK YOU TO ALL SPONSORS, PARTICIPANTS AND VOLUNTEERS! On behalf of the 8th Annual Don LaBerge Memorial Golf Classic we are delighted to announce that we have raised over $131,376! Thank you for your generosity and your willingness to support the Alberta Cancer Foundation. We would like to thank our hard working classic volunteers for their contribution to the success of this event. Please join us next year. "Save the date" Wednesday, September 2rd, 2015 for the 9th Annual Don LaBerge Memorial Golf Classic! Same Time. Same Place. More details to follow. Are you or do you know any grad, post-grad or doctoral student doing research in titration, ion chromatography, near-infrared spectroscopy or electrochemistry? We are looking for entries into our Young Chemist Award! Win $10,000 in cash and present your research at PITTCON 2015 in New Orleans. Entering is simple. Just submit your abstract here. Entry deadline is November 30. Rules and restrictions apply.